Everybody has heard of the lost city of Atlantis, the legendary island that was said to have sunk into the sea in one day and one night. But was Atlantis really a real place, if so, who came up with it, and could there be more to the story? We understand that the story of Atlantis from the Greek philosopher Plato. Really, from two of his writings, Timaeus and Critias. These books date back to around 360 BC. Easily making them some of the oldest books that are still in existence. In them, Plato has written that the story was given to the Greek sage Solon in Egypt by a priest. Upon his return, Solon went on to share the story with his relative Dropides. Dropides then passed the story down to his son Critias, who then passed it down to his grandson, who was also named Critias, who then finally shared it with the philosopher Socrates and others who were present during the time. This list shouldn’t be taken as a historical fact, but it should be taken as an account of what Plato was originally writing. While reading more about the lost city that is known as Atlantis, please keep this in mind. It’s your choice as to whether or not you believe the legend is true, but we all can probably agree that this may have been the first recorded game of telephone. We think this is something we all can agree on. Here are 10 things that most people do not know about the lost city of Atlantis. Some may leave you wanting to know more and some may come as a complete shock. Let us know what surprised you the most! Most people more than likely will believe that Atlantis got its name from being located in the Atlantic Ocean, but the actually claims that it is the other way around. 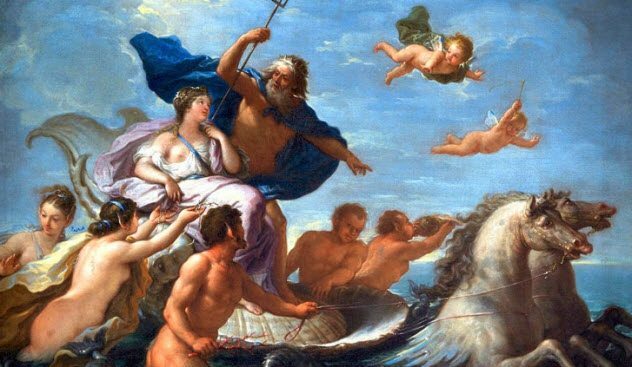 As the story goes, Poseidon, the Greek god of the sea, had five pairs of male twins with another Atlantean woman who was mortal by the name Cleito. The god gave out different portions of the island to rule to each one of his 10 sons. The second-eldest of these songs was Gadeirus. While they may be a city in Spain that is named after him, his older twin, Atlas, holds all of the glory for being the island’s namesake. Atlas, as the firstborn, had the entire island and the surrounding ocean named after him. His children from then on would reign over Atlantis forever. Now that takes picking favorites to another level.